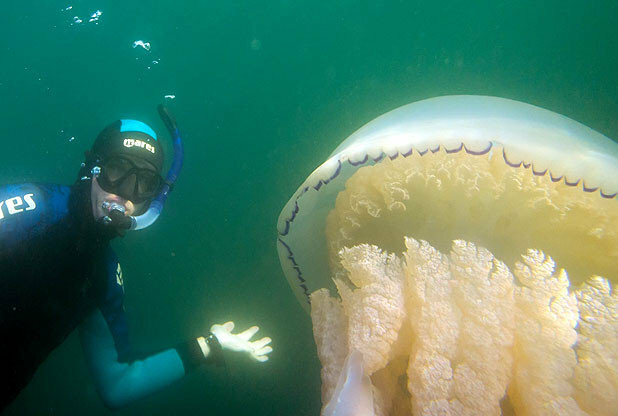 This picture is enough to make you turn to jelly – a snorkeller off the coast of Britain posing next to a jellyfish as big as him. Archaeologist Robert Lenfert, 42, and his wife Natasha, 39, met the giant creature off Pendennis Point, near Falmouth, Cornwall. Robert believes it’s the biggest jellyfish ever pictured in UK waters.